Love the wine box and the beautiful story! There are no coincidences. Blessings. I don't think your story is weird at all, I think it's sweet. I know several stories like yours where loved ones let us know they are still around (I have one myself about my own dad). I've been feeling unsettled and anxious myself lately, can't put my finger on it but it sure messes with my mind! I'm so glad you found some confirmation and peace with this wonderful gift from your "friend". This story made me smile. I have such fond memories of your Dad, and I know he would be so very proud of you. His gifts & talents live on through you, and will be passed down for generations to come. Thank you for sharing your heart, I loved it! Dear sweet friend. I loved reading your post. I used to think I couldn't share the imperfect, but it really endears me to friends when they share the good times and the bad. I have no idea what it is like to loose a parent, but I can not imagine the pain. I definitely think that God sends us the comfort we need when we need it. I know He knew you needed something to cling to Diana! What a wonderful reminder that He cares for you even in your darkest of times! I will be praying for YOU! LOVE THE wine box, too! So much love and care to YOU, sweet friend! Thank you for sharing this beautiful story ~ and the wine box. There are no accidents that the Dove was there for you when you needed it. I'm a firm believer that God allows these signs to comfort us and let us know that our loved ones' spirits are always with us. Thanks for being "real" and letting us know about this. The wine box is incredibly beautiful! Wood, wine and a bird ~ perfection! What a nice gift and story. I loved the story and can relate. I lost my Dad 7 years ago at a far too young age. And for me, it's everytime I see a butterfly, I know he's still nearby. So, I think your bird story is quite nice and the wine holder is just fitting. Also, I LOVE that vintage wine box! How beautiful and creative! Love those extra special touches she added! See, those blog buddies/ readers, they are the best! Thank you for sharing this Diana - This is a truly beautiful story. God's comfort, peace, reassurance and presence is all around us. I applaud you for having a sensitive enough heart to notice them. Sometimes life can be so hectic and we can be so busy and anxious that we don't even slow down for a moment to receive these gifts. Well done on choosing to slow down long enough to receive this special gift. He's looking after you! PS. Love the blog...keep up the wonderful work! Thank you for sharing! I agree with Carli - God was sending you a sweet gift of comfort! How amazing. I personally loved reading that story. I lost my dad when I was 10 and, 20 years later, the loss still hurts. I cherish it when it rains, because it reminds me of how he loved his long walks in it. I think of it now as him saying hello and that all is still well. You never have to be alone honey. You have a mom, sister and brother who all love you very much. did you notice there is a mistake in the french words ? the real sentence is "un petit oiseau m'a dit" I'm french and this is really bothering me... you should putt something in front of the letter E of the word petit(e). 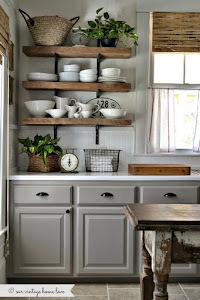 I love your ideas and your blog is inspiring me to decorate my future house !! thank you really much for sharing ! !